Natural range Taiwan, southern continental China, Hainan Is., Indochina, Malay Peninsula, Bangladesh, India, Sri Lanka. 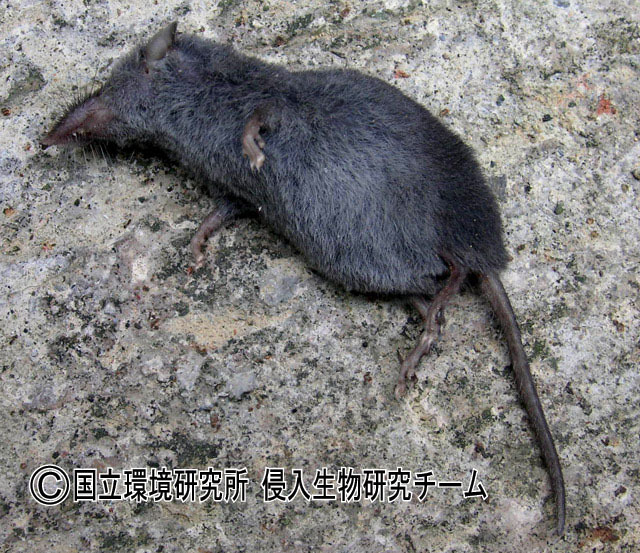 The populations on Ryukyu Archipelago may be native ones: Amami Islands (Amamioshima [extinct? ], Tokunoshima, Okinoerabujima, Yoronjima), Okinawa Islands (Okinawajima, Izenajima, Iheyajima, Iejima, Minnajima [extinct? ], Agunijima, Tokashikijima, Tonakijima, Zamamijima, Kumejima), and Sakishima Islands (Miyakojima, Irabujima, Taramajima, Ishigakijima, Yonagunijima). Habitat Human-commensal. Farm area, city area, etc. Range in Japan Nagasaki (mainland and Fukuejima Is. of Goto Islands) and Kagoshima (mainland) Prefs. Origin From continental China or Korean Peninsula to Nagasaki. From Okinawa to Kagoshima. Unknown origin for Fukuejima Is. Date By the end of 17 C (Nagasaki). By 1820s (Kagoshima). Unknown for Fukuejima (the first record in Fukuejima was after W.W.II). Route Accidental: Hitchhiking on trades. Introduced range in other countries Philippine, Borneo, Indonesia, Guam, Middle East, eastern Africa, Madagascar, Moldives, Mauritius, Reunion, Comoro, etc. Ohdachi et al. (eds) (2009) The Wild Mammals of Japan. Shokado, Kyoto. The three non-native populations in Japan (Nagasaki, Kagoshima, and Fukuejima) have been declined.